Running a property can be a stressful business. But are you aware of your legal gas safety duties as a landlord? Every year, landlord are conned by illegal gas workers who perform poor gas work, causing serious illness and death of tenants. And if it’s your property, it’s your responsibility. Find out what your gas safety duties are. Landlord Gas safety certificate for tenants: have you asked to see your landlord gas safety certificate? Being a tenant means there’s always a landlord responsible for the safety of the gas appliances. But when was the last time you saw your landlord’s gas safety record? If your gas appliances have not been safety checked within the last year, you could be in danger of carbon monoxide poisoning. Find out whether your property is gas safe now. Students, be aware of your rights! Student accommodation can be great fun, but to avoid gas dangers that could kill you, ask to see your landlord’s current gas safety record. 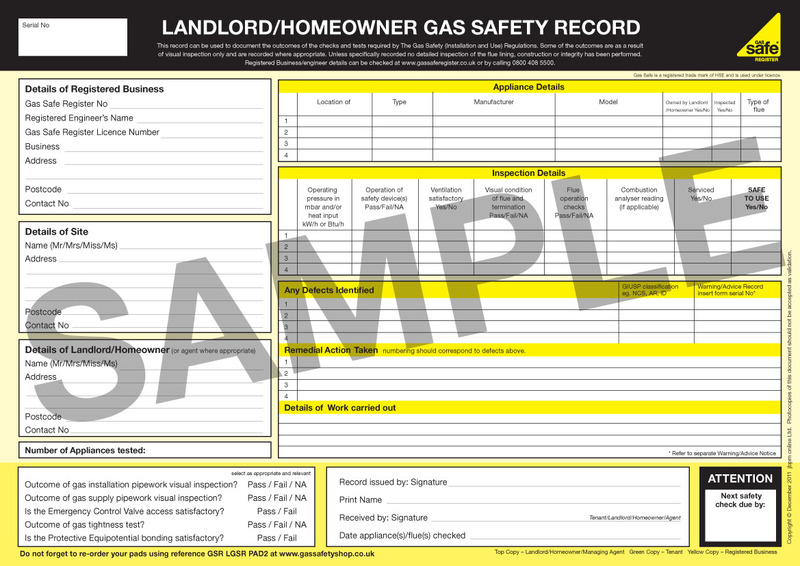 By law, your landlord must provide you with a copy of their landlord’s gas safety record to ensure the safety of you and your housemates. The great news is it won’t cost you a penny and it could save your life! Find out about your gas safety rights here. How long do I have to keep records? You have to keep records for at least two years. What information do I have to give to tenants? You must provide existing tenants with a copy of the gas safety check record within 28 days of the check being completed. 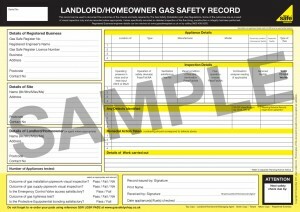 You must provide a copy of the gas safety check record to prospective tenants before they move in. Gas engineer is a qualified engineer registered with Gas Safe Register.. All Gas engineers must register with gas safe register. A Gas Safe registered engineer has been checked to make sure they are competent and qualified to work safely and legally with gas. Gas Safe Register replaced CORGI as the gas registration body in Great Britain and Isle of Man on 1 April 2009 and Northern Ireland and Guernsey on 1 April 2010. Gas safe register is the official gas registration body for the United Kingdom, Isle of Man and Guernsey, appointed by the relevant Health and Safety Authority for each area. By law all gas engineers must be on the Gas Safe Register. Every gas engineer carries a Gas Safe Register ID card with their own unique licence number, showing the type of gas work they are qualified to do. Before any gas work is carried out, always make sure you ask to see their Gas Safe Register ID card. If someone other than a Gas Safe registered engineer does the gas work in your home, you could be risking the safety of your family and your property. Badly fitted and poorly serviced gas appliances can cause gas leaks, fires, explosions and carbon monoxide poisoning. The main focus of the Register is on improving and maintaining gas safety to the highest standards. They make sure all 123,000 gas engineers on the Register are qualified to work with gas. All gas engineers on the Gas Safe Register are legal and qualified to work on gas.